We are constantly monitoring the situation in regard to a possible “no deal” Brexit. The situation is potentially very difficult for the chemical industry due to the complex structures that have built up globally over 40 years. Some products may be become unavailable if a “no deal” Brexit scenario becomes a reality. We will advise our customers know if products are affected once the negotiations are complete. The Ecostrip 600 paint remover is available for purchase on our website in 5 litre and 25 litre drums. This product is suitable both for DIY and Professional users. Ecostrip 600 is an highly effective, water based, thickened emulsion paint remover. It is user friendly and environmentally friendly. 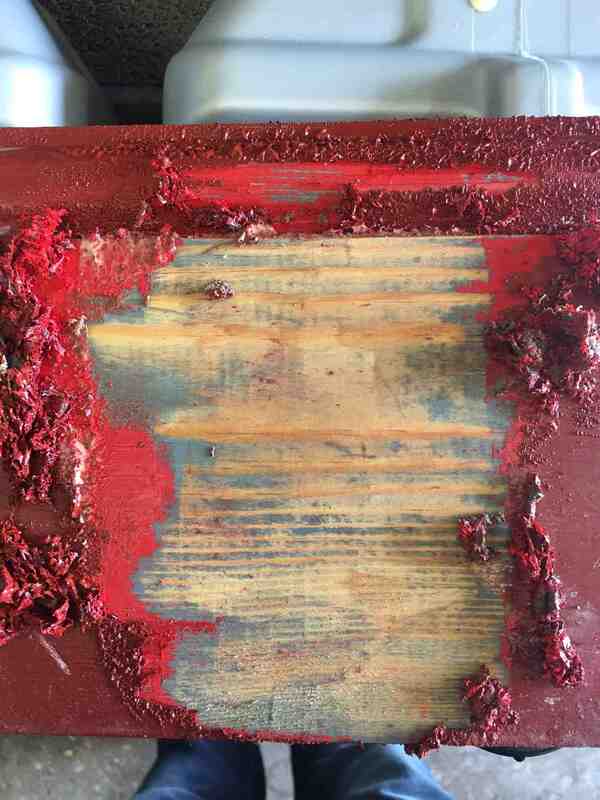 This paint remover is non-toxic and biodegradable. * One regular customer purchased this product and was amazed to find it removed resin from a driveway in less than 15 minutes! This product can also be used for removal of coatings from plastics, however, it is recommended that you test a small area for compatibility. This paint stripper is a direct replacement for the RemovAll range we previously supplied. ECOSTRIP 600 paint remover is formulated for brush, roll, or spray applications. If you require larger quantities please telephone our office to discuss. Here’s what it looks like on wood substrate. Socostrip A0105N aviation paint remover is in stock. Further stocks of Socostrip A0103N available soon. Cirrus Systems Ltd supply Socostrip A0103N and Socostrip A0105N aviation paint removers . The Socostrip A0105N is also used by the Airstream Caravan renovation community.